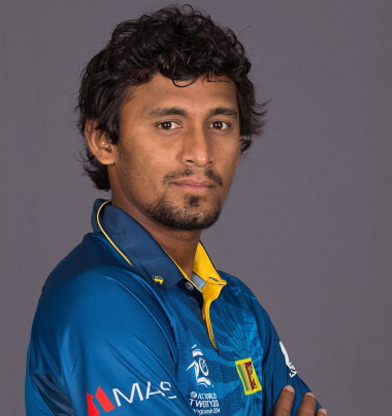 Ranasinghe Arachchige Suranga Lakmal (born 10 March 1987 in Matara), commonly Suranga Lakmal (Sinhalese: සුරංග ලක්මාල්) is a professional Sri Lankan cricketer, who plays for all forms of the game. He is a right-arm medium-fast bowler and right-handed batsman. He was first included in the national squad for the tour of Pakistan in 2008-2009 and was reported to have been injured in the attack on the Sri Lankan team by terrorists. He currently plays for the Tamil Union Cricket and Athletic Club. He was an important member of 2014 ICC World Twenty20 winning team. Lakmal studied at Debarawewa Madya Maha Vidyalaya in Hambantota District, before moving to Richmond College, Galle. Lakmal was called up as a replacement for Dilhara Fernando in India in December 2009 and he made his ODI debut in the second match in Nagpur, where he bowled eight wicketless overs for 58 runs before Sri Lanka won by three wickets. He made his Test debut on November 23, 2010 against the West Indies in the second Test match played at the R. Premadasa Stadium, becoming the 114th Sri Lankan Test player. By dismissing Chris Gayle of West Indies, Lakmal became the third bowler to take a wicket with the first ball bowled in a test match at a new venue, joining Kapil Dev of India and Imran Khan of Pakistan, which was held at Pallekele International Cricket Stadium. Lakmal is also the first cricketer from Hambantota District to represent the national cricket team of Sri Lanka. During first Test against South Africa, Lakmal bagged his maiden five-wicket haul, becoming the second Sri Lankan pacer Chanaka Welagedara to take a fifer against South Africa in South Africa. However, Sri Lanka lost the match by 206 runs. 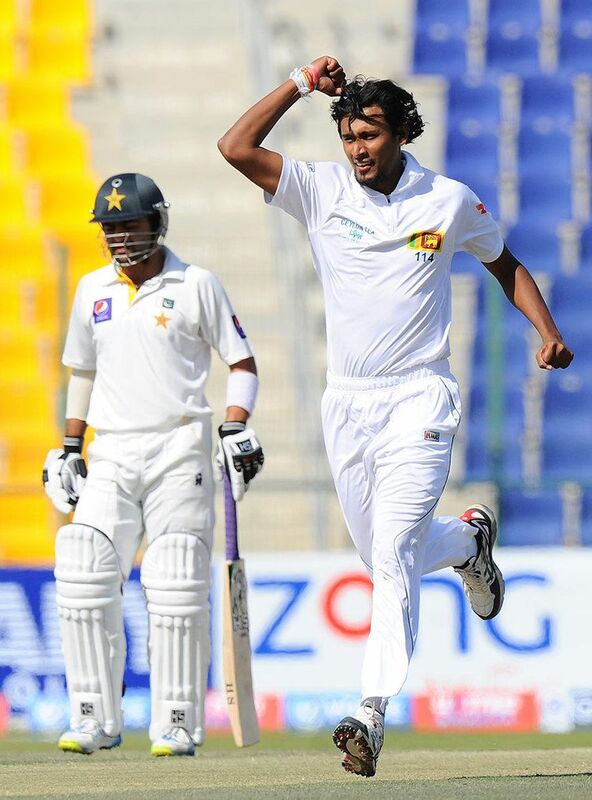 Though Sri Lanka lost all three Test matches, Lakmal showed best bowling figures throughout the series. He is the highest wicket-taker for Sri Lanka in the series with 12 wickets at an average of 30.83.